The flat-coated retriever is the black version of the golden retriever. Think of the flat-coated retriever as a golden retriever who dyed his hair black or brown. He's a good-natured, athletic canine with a strong work ethic. Watch out that he doesn't break things in the house with his strong, always wagging tail. He makes a terrific companion or family pet. You can expect to have your sweet, large friend around for about 10 to 14 years. If your dog lives to 13 or 14, that's a fairly long lifespan for a large breed like the flat-coated retriever. Of course, the worst thing about dogs is that they don't live long enough. 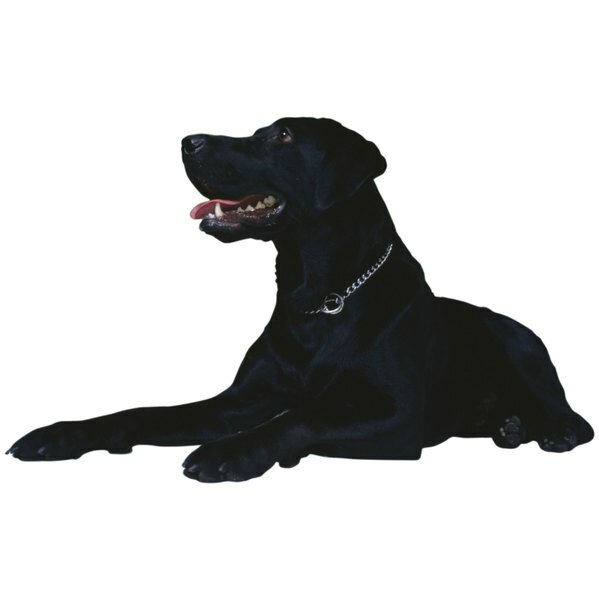 Mature flat-coated retrievers stand between 22 and 24.5 inches high at the shoulder, weighing between 60 and 70 pounds. Males are larger than females. While good care helps your buddy live a longer life, making it to 14 rather than 10 often depends on absence of certain diseases and general luck. Your flat-coated retriever is an active guy, requiring plenty of exercise. If you're a hunter, he makes a good field dog as well as boon companion. Smart and easily trained, he can shine at agility, flyball, obedience and other doggie sports. He's quite the shedder, so brush him often. He'll probably also need frequent baths, as he's a water dog and if there's no water to loll in, a mud puddle does the trick. Feed him a high-quality dog food and don't let him get fat. An obese flat-coated retriever probably won't live as long as one at the proper weight. Unfortunately, cancer often strikes the flat-coated retriever, just as it does its golden cousin. It's hard, if even possible, to find a line of flat-coated ancestry that doesn't have this disease in it. As of 2012, there is no genetic testing for these cancers. However, if caught in early stages, surgery and chemotherapy can save your dog's life or extend it considerably. Get to know your dog's body while you're grooming or petting him. If you find any lump or bump, take him to the vet. It might be nothing, but early detection of cancer makes all the difference. Cancer is not the only disease affecting flat-coated retrievers. Like other large and big-chested breeds, he may suffer from gastric torsion, commonly known as bloat. In this situation, the stomach twists, cutting off the blood supply. Only emergency surgery can save his life. You might prevent bloat by feeding your retriever a few small daily meals rather than one large meal, and by not feeding him for at least an hour before or after strenuous exercise. Flat-coated retrievers might also suffer from slipped kneecaps, known as luxating patellas, or hip dysplasia, a malformation of the hip joint. Both of these conditions cause lameness and may require surgery. While not fatal diseases, lack of mobility in a large dog might result in a decision to euthanize your pal if you can't carry him.